Bella is ready for her forever home. She has had a rough start in life. 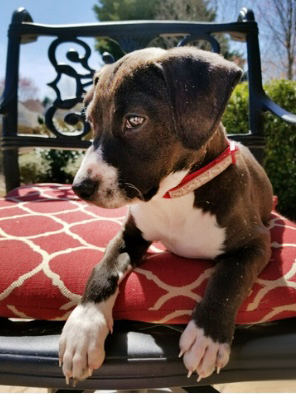 Her mother was chained to a cinder block in Rome, Georgia. A neighbor rescued Bella and took her to safety. They are working on saving the mother, too. Bella is a very sweet, 4 month old puppy. Her mother is a Labrador/Jack Russell mix. 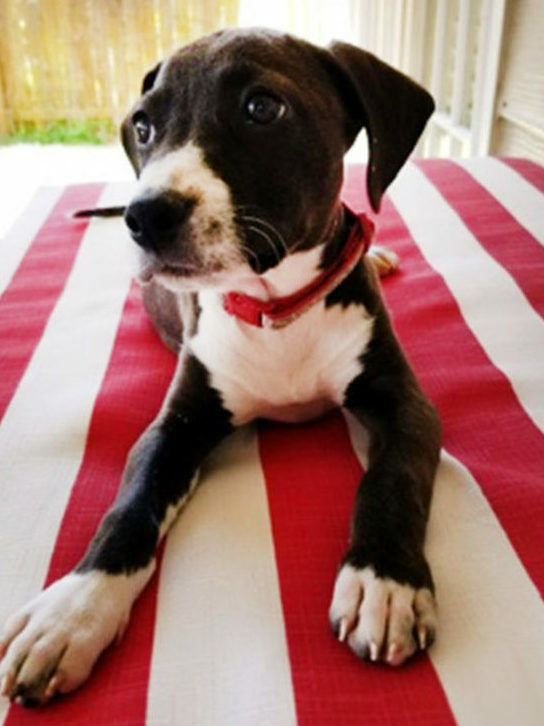 She currently lives at a foster home where she is getting the training, nutrition and attention that she deserves. 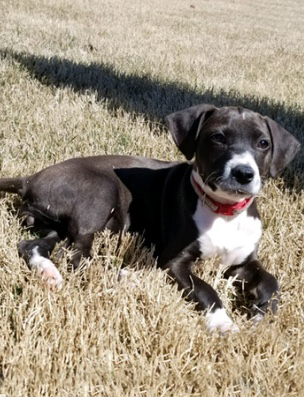 She gets along great playing with other puppies and dogs and has a very laid-back, relaxed personality. Her adoption fee is $350 and includes her spay, microchip, Bordetella vaccine and other vetting. If you’d like to meet Bella, please fill out an adoption application. If you are interested in Bella, click here to download an adoption application.